Every business owner knows that having smokers on the payroll cuts into company production. Throughout the day, smokers interrupt their work multiple times to go outside for a cigarette. When electronic cigarettes are allowed as a substitute, those same employees never have to leave their desks to step outside. Productivity and workplace morale increases, adding greater value to employee contributions. Many smoking workers who have to spend eight or more hours each day on the job only have two alternatives during work hours: stop smoking at the workplace or interrupt the workday to light up a cigarette. Because of smoking bans, provisions had to be made to allow employees to leave their desks occasionally to go outside for a smoke. This inevitably reduces productive work hours and affects the performance of employees. However, the use of electronic cigarettes can change this cycle. In the UK, e-cigarettes are allowed in most commercial establishments and public places, including the workplace. Smokers who use e-cigs can stay at their desk and freely smoke. Electronic cigarettes emit harmless vaporized smoke instead of toxic secondhand smoke; thus, they're not a nuisance to surrounding people. Moreover, since e-cigarettes don't have the dangerous carcinogens and chemicals found in tobacco cigarettes, employees can decrease the risk of smoking-associated illnesses. This helps in workplace productivity since workers can avoid missing days of work. With e-cigarettes, you'll no longer have to leave unfinished tasks, lose your train of thought or miss important meetings as you can conveniently smoke in your seat. Most of the time, smokers are constantly edgy, and their concentration is distracted as they apprehensively wait until they can take a break. Because of this, many tobacco smokers aren't fully productive. Since e-cig smokers don't need to step outside anymore each time they feel an urge to smoke, many companies claim that this resulted to higher satisfaction and increased productivity. Companies that encourage e-cig as an alternative smoking device found that their smoking employees have become more focused on their jobs since they don't have to leave their desks unlike before. Moreover, accidental fire alarms due to smoking bathrooms also significantly decreased. A better business environment conducive to productivity is reinforced. This means more work gets done, and less people complain about smoking co-workers. Many companies today that understand the anxiety caused by restrained cigarette smoking highly encourage the use of electronic cigarettes. There's no secondhand smoke, no ashes and no fire hazard. Everyone in the workplace is also pleased because non-smokers won't feel that smokers waste too much time on breaks just to smoke a cigarette. When employees are happier and more productive, this leads to more satisfied customers. Workers who are more focused on their jobs tend to perform things more properly and efficiently. Consequently, customers will be more satisfied with the product or service that they receive. In conclusion, electronic cigarettes bring considerable advantages to a business, particularly increased productivity among employees. Without the hassles of puffing tobacco cigarette, workers can stay concentrated, accomplish more tasks and make the most out of their work hours every day. Natalie Tudor is a health-conscious woman who works in a busy London office. She enjoys the vanilla flavored E-cigs whilst at work. 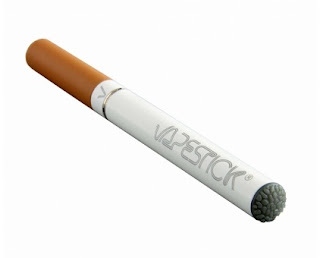 Click the link to find out more information on the best electronic cigarettes.